Did you know that there is a severe shortage of healthcare workers globally? The shortage is estimated to reach 18 million by 2030. Did you know that this shortage is hitting countries like Tanzania particularly hard? Sub-Saharan Africa is home to 11% of the world’s population. The region shoulders 24% of the global burden of disease, yet only accounts for 3% of the world’s health workers. Tanzania alone can count on just 5.2 clinical health workers per 10,000 people: one fifth of the optimal ratio recommended by the World Health Organization. The country also lacks sufficient numbers of trained specialists, with only 177 specialist surgeons and fewer than 22 anesthesiologists available to serve a population of over 55 million. The health workforce that does exist has limited access to medical education and professional development. These shortages have a particularly damaging effect on the health and wellbeing of the most vulnerable, including women, children, and people with disabilities. It also makes it hard for providers, like our partner, CCBRT, to serve their patients, as they struggle to recruit and retain the skilled teams they need to deliver high quality, specialized services. Without well trained, well equipped healthcare workers people simply cannot access the quality of care they need and deserve. And without adequate healthcare, people’s access to education, employment and economic opportunity is limited too. With the support of the Kupona community, our colleagues at CCBRT have been taking action to train and build the capacity of healthcare workers in Tanzania and further afield for many years. The maternal and newborn healthcare capacity building program empowers nurses like Ladness to save newborn lives. CCBRT’s expert fistula surgeons are sharing their skills with surgeons from around the world. CCBRT also gives its own staff many opportunities for continued professional development. Until now, CCBRT’s efforts to strengthen the health workforce have been implemented in both CCBRT’s hospital in Dar es Salaam and at partner facilities across the country. They had no dedicated training facility, and no formalized central training program. Since 2015, with the support of Kupona partners Johnson & Johnson and the UCLA Anderson School of Management, CCBRT has been developing detailed plans for a Center of Excellence in Clinical Education. We’re delighted to announce that these plans will soon become a reality, with the opening of the CCBRT Academy next month. When it’s ready, the training center will include room for meetings, small workshops, large trainings and simulations in a lab mimicking a real hospital setting, and will use CCBRT’s existing computer lab for online courses and digital education. The Academy will be a learning environment of the highest quality to enrich educational experiences for the region’s healthcare heroes. 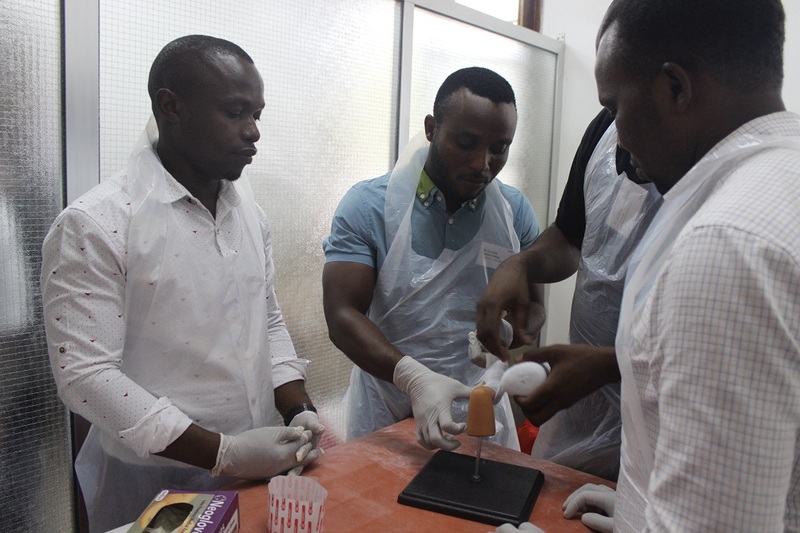 Indeed, training through the Academy has already launched, starting with a Training of Trainers on clubfoot casting techniques for participants from around world, including 20 from Africa last week. In the coming weeks, the Academy will provide and host trainings on topics ranging from ophthalmology equipment and small incision cataract surgery to customer care and breastfeeding.